Rabindranath Tagore was a Bengali poet and polymath. He won the Nobel prize for literature in 1913. This quote is from Gitanjali. 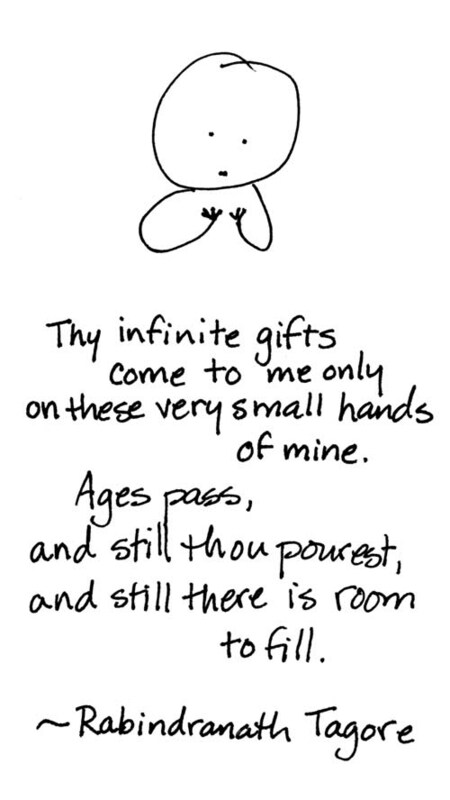 I don't know why this is more poignant with the handwriting and the cartoon, but it is.